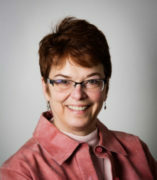 Rebecca Hendrick is a Professor of Public Administration and Director of PhD Graduate Studies. She received her Ph.D. in political science from Michigan State University (1986). Her current research merges the four subject areas of financial management, organizational behavior, public finance, and governance focusing on local governments in a regional context. She is the author of the book entitled Managing the Fiscal Metropolis: The Financial Polices, Practices and Health of Municipalities, (2012, Georgetown University Press). The book examines how suburban municipal governments in the Chicago metropolitan area manage their finances during recessions and in response to a range of fiscal threats and opportunities. The book pays focuses to how these governments manage their finances within the fragmented system of local governance that exists in this region and the rules of local finance established by state government in Illinois. Professor Hendrick’s other research examines subjects such as tax competition, strategic management of state and local government, and the measurement of local government financial condition. She has published widely in journals in public administration, political science, and public finance, and she is currently researching local governments’ use of special assessments and capital financing and spending practices more broadly. Wang, Shu and Rebecca Hendrick. Forthcoming “Financing Urban Infrastructure (and Services) Under the New Normal: A Look at Special Assessments.” In E. McKenzie, A. Alexander, and D. Judd (eds), The Transformation of the American Local State: Developmental Politics and the Eclipse of Democratic Governance, (University of Minnesota Press).